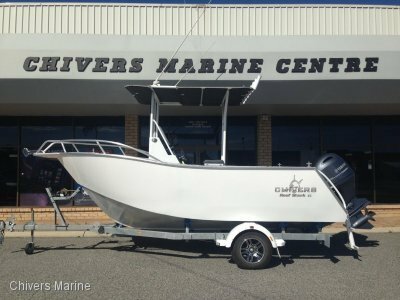 **NEW ARRIVAL, PLATED 2019 Boat: Quintrex 420 Renegade Side Console o 12 Months licensing o Inshore safety gear package o New Blade hull - Cuts through rough water life a knife o 3mm bottom . 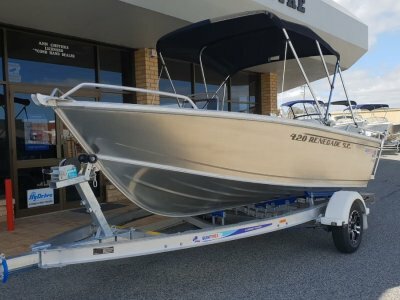 . .
**NEW ARRIVAL, PLATED 2019 Boat: Quintrex 420 Renegade Side Console o 12 Months licensing o Offshore safety gear package o New Blade hull - Cuts through rough water life a knife o 3mm bottom . . . This boat has no motor fitted currently and will come with a fresh motor out the box! 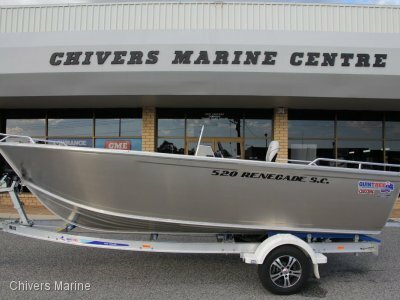 The second largest in the Renegade Centre Console Range the 520 Renegade is for the serious fisherman. . . .
New Quintrex New Dinghies - Large Range Available! 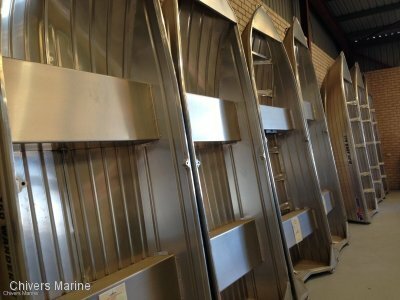 We have a range of Quintrex dinghies in stock, for sale ranging from the smaller 350 Explorer roof toppers all the way up to the larger 460 Dory Blade to suit a wide range of uses. Come down to . 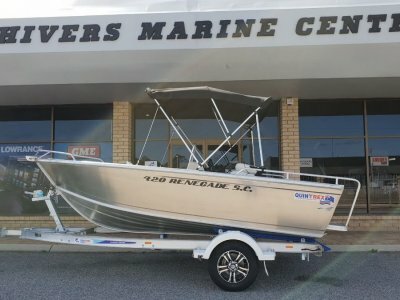 . .
**PRICE HAS BEEN REDUCED In good condition this 2000 model Savage Envoy is fitted with a Mariner 60hp 4-stroke outboard (250 hours) and is sitting on a braked Melride single axle trailer all in . 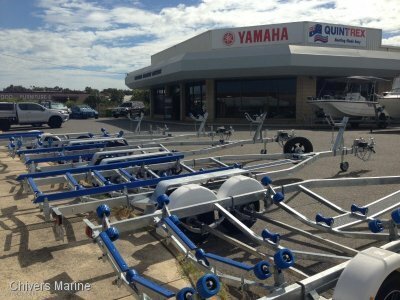 . .
We are now keeping good stock of our Custom WA made (Bibra Lake) boat trailers and have been making our own trailers for over 40 years, we can accommodate boat sizes from 3.3m all the way up to 8 . . .
Chivers 620 Thresher Centre Console with 150hp Yamaha 4-stroke outboard. This tough as nails centre console comes with fully sealed self draining decks, dual battery system, 180lt fuel tank, . 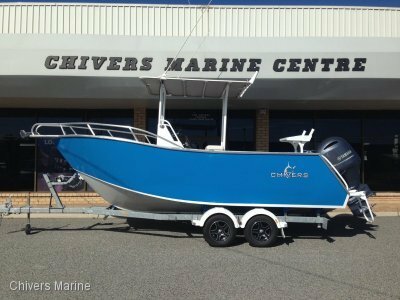 . .
Chivers Reef Shark Centre Console with 90hp Yamaha 4-stroke outboard. This tough as nails centre console comes with fully sealed self draining decks, dual battery system, 140lt fuel tank, . . .